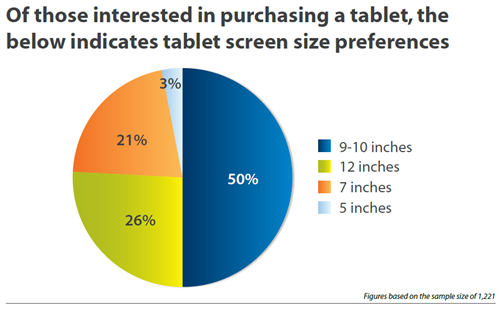 Sybase (owned by SAP) commissioned a survey on tablets, and the results are rather surprising. Before I dig in, however, I feel it's only fair to point out what I perceive as a flaw in the survey: they provide minimal information on the survey questions and how it was conducted. As a result, it's hard to tell whether the survey was free of bias; based on how the results are presented with bias, I'm guessing not. That said, Sybase made a spokesperson available to talk about the results, and I'm sure they could clarify things (or pull the wool over my eyes - I'm a sucker for slick talk). Now, I think that's more than enough disclaiming - let's get to the survey. 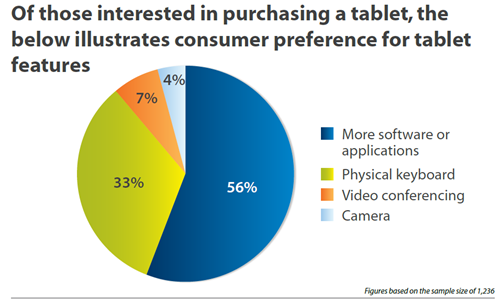 23% would purchase an Android-based tablet. 56% would rather purchase a carrier-subsidized tablet with a data plan than simply pay full price. The results also showed that Android has high brand loyalty but low brand recognition: 50% of Android users showed preference to purchasing an Android tablet, but of non-Android owners, only 13% have "stated intent to buy an Android tablet." Fairly interesting overall, although it's disappointing to see that the iPad isn't mentioned whatsoever in the report - it's hard to believe it wouldn't skew results, or at least shed more light on the situation. DUBLIN, CA — SEPTEMBER 22, 2010 — Sybase, Inc., an SAP company (NYSE: SAP) and industry leader in enterprise and mobile software, today released the results of a survey on consumer appetite for tablet PCs, conducted by Zogby International. 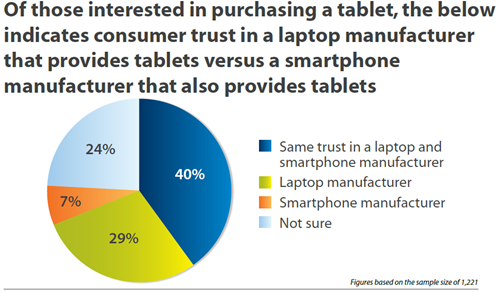 Approximately one in four Americans surveyed (23 percent) would purchase an Android-based tablet. In addition, one in every two Android phone owners showed a preference to purchase a tablet, illustrating that brand loyalty could translate into higher tablet sales. Only 13 percent of non-Android phone owners stated intent to purchase an Android tablet, indicating an opportunity for creating awareness and education. 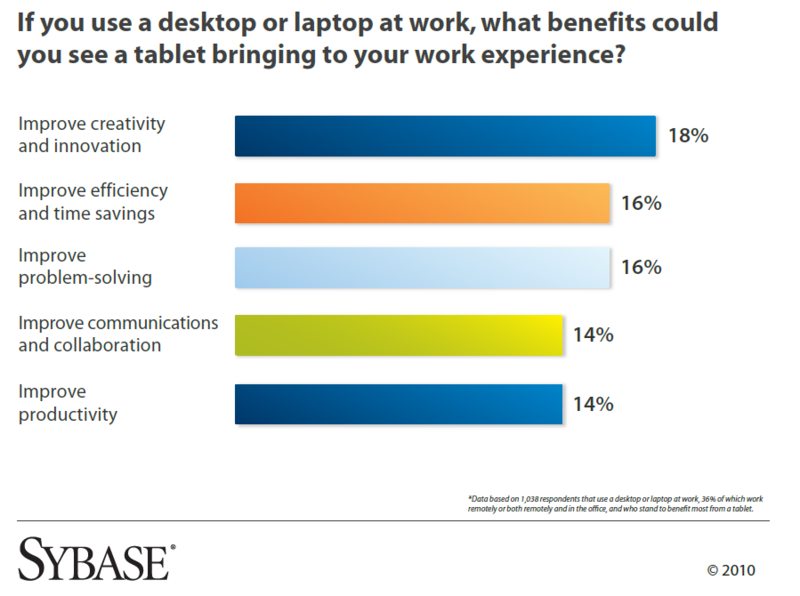 One in four surveyed stated that they are likely to use a tablet device as a laptop replacement for work or personal use. When purchasing a tablet, 56 percent said they would prefer to buy a device at a lower cost with an attached data package versus purchasing a tablet at a higher cost with no contract. One in four Americans, expect their employer to provide access to tablets in the enterprise. Improvements in creativity and innovation was cited as the number one benefit tablets could bring to the workplace (18 percent), closely followed by efficiency, time savings and problem solving (16 percent) and communication, collaboration and productivity (14 percent). When considering purchasing a tablet, 56 percent of respondents listed more software and applications as an important deciding factor. Almost 33 percent of those surveyed stated that having a physical keyboard is a crucial tablet component. The highest percentage of respondents preferred a nine to 10 inch screen size for a tablet (50 percent), followed by 12 inches (26 percent), seven inches (21 percent) and five inches (three percent). Video conferencing and camera functions for tablets were of limited interest, with only seven percent and four percent of respondents interested in these features, respectively. 29 percent of respondents stated that their ideal price for a tablet would be less than $300 USD. For graphical representation of the survey findings please, download the PDF. The referenced study was commissioned by Sybase and conducted by Zogby International. The study consists of online surveys of 2,100 adults in the U.S.A sampling of Zogby International's online panel, which is representative of the adult population of the U.S., was invited to participate from 8/27/10 to 9/14/10. Slight weights were added to region, party, age, race, religion, gender, and education to more accurately reflect the population. The margin of error is +/- 2.2 percentage points. Margins of error are higher in sub-groups. The MOE calculation is for sampling error only. Sybase, an SAP® company, is an industry leader in delivering enterprise and mobile software to manage, analyze and mobilize information. We are recognized globally as a performance leader, proven in the most data-intensive industries and across all major systems, networks and devices. Our information management, analytics and enterprise mobility solutions have powered the world’s most mission-critical systems in financial services, telecommunications, manufacturing and government. For more information: www.sybase.com. Read Sybase® blogs: blogs.sybase.com. Follow us on Twitter at@Sybase.